The Apparel Digital Printing has rapidly became one of the best solutions for small and medium business, as the quantity/design to print it's not a cost problem anymore. Day by day small shops find Digital Printing the best choice for them, as it do not require pre set up time or money wasting doing screens, films, etc. 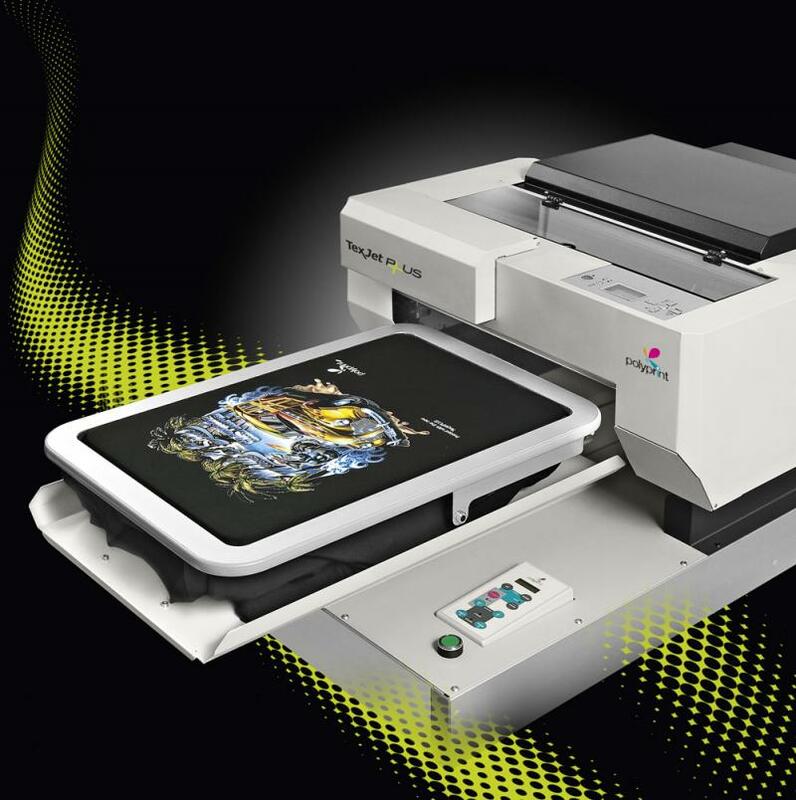 TEXJET is using Epson 4880 as printing engine, and can achieve printing resolution as high as 2880x1440dpi. Variable drop size can control the color density required. Big drop only can be also selected for higher density of white ink or for faster printing on white t-shirts. Automatic height adjustment using accurate optical sensor guarantees the optimum distance between the t-shirt and the print head and enables bi-directional printing. 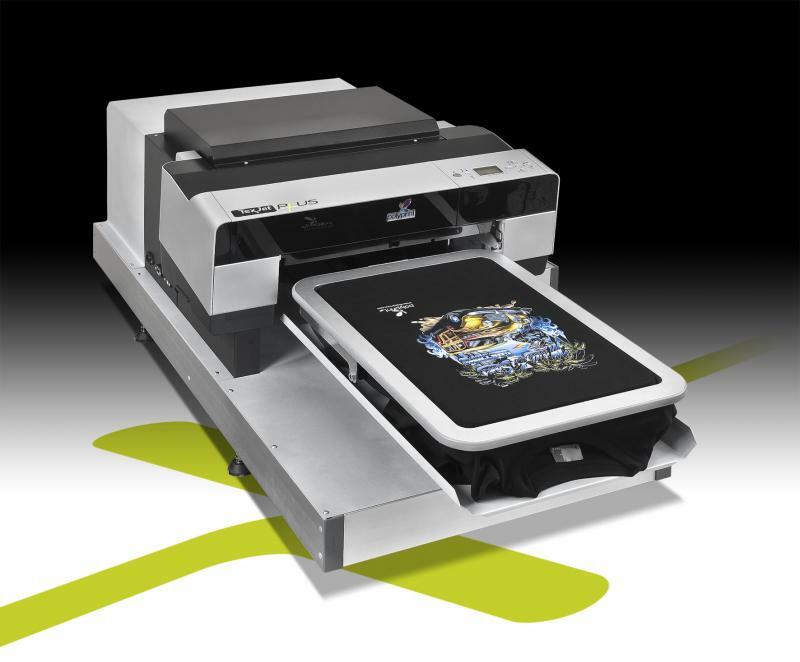 If you are looking to produce professional digital prints directly on garments, while keeping the ink and maintenance cost down, TexjetPLUS is the ideal solution to do it. 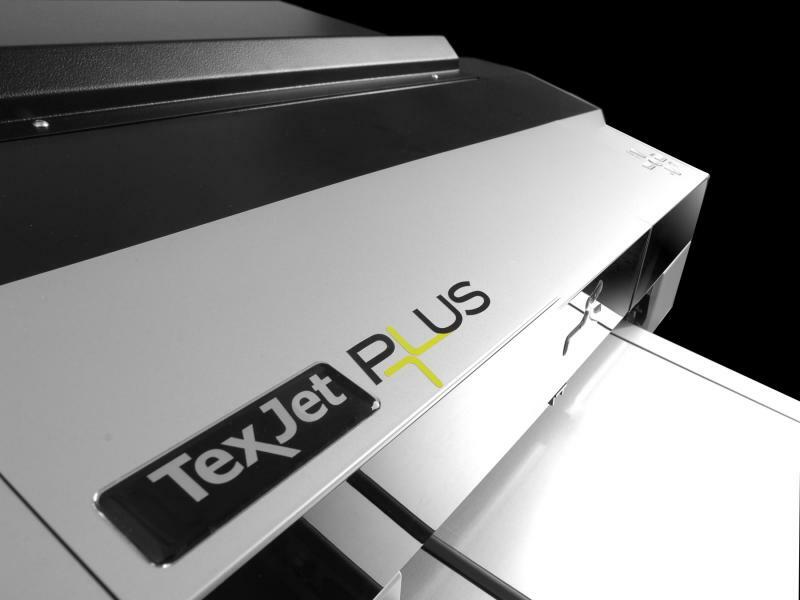 The Texjet Plus is based on the Epson DX5 print engine and offers up to a large 42 x 60cm print area. It was originally made for professional use and offer industrial strength versatility. 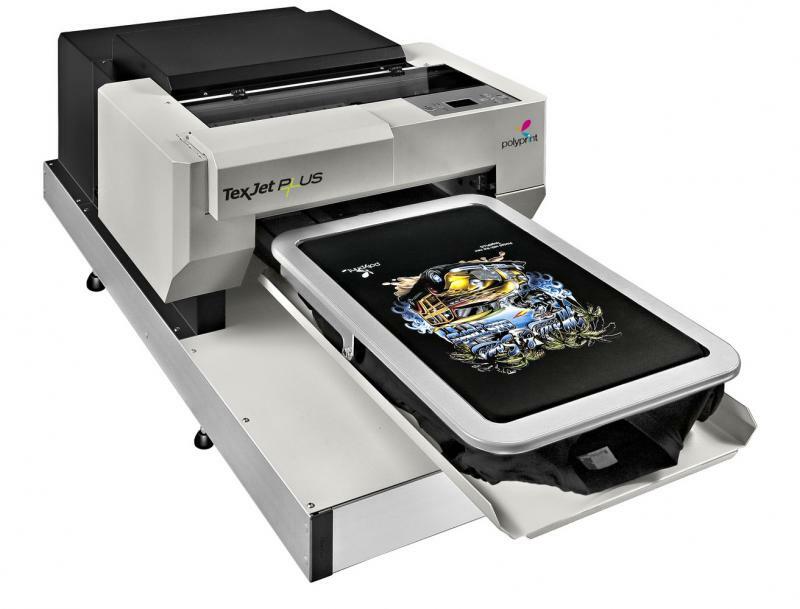 The TexJet RIP software is bundled with the printer and combines impressive production performance, outstanding image quality and superior color fidelity. Especially developed for direct to garment printing, this software offers the most advanced tools with an easy user interface. 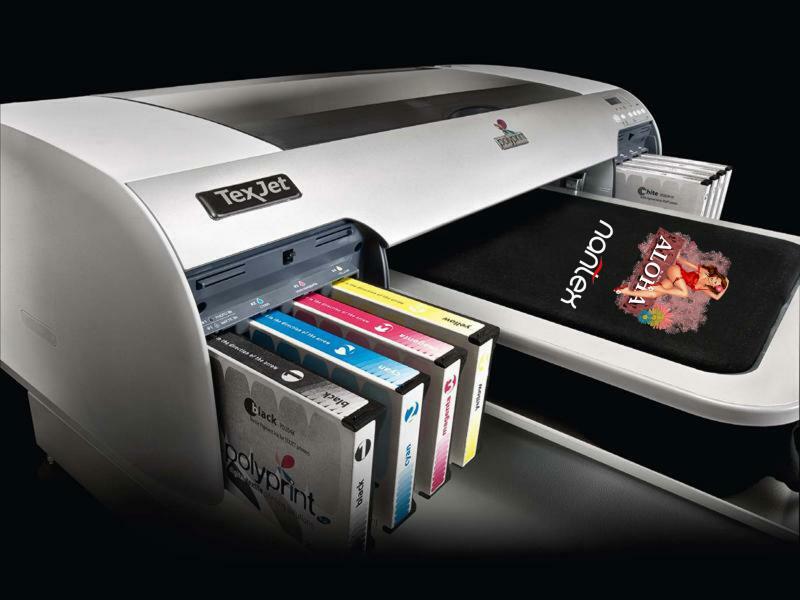 Overall, Texjet Plus is your best partner for digital garment decoration. 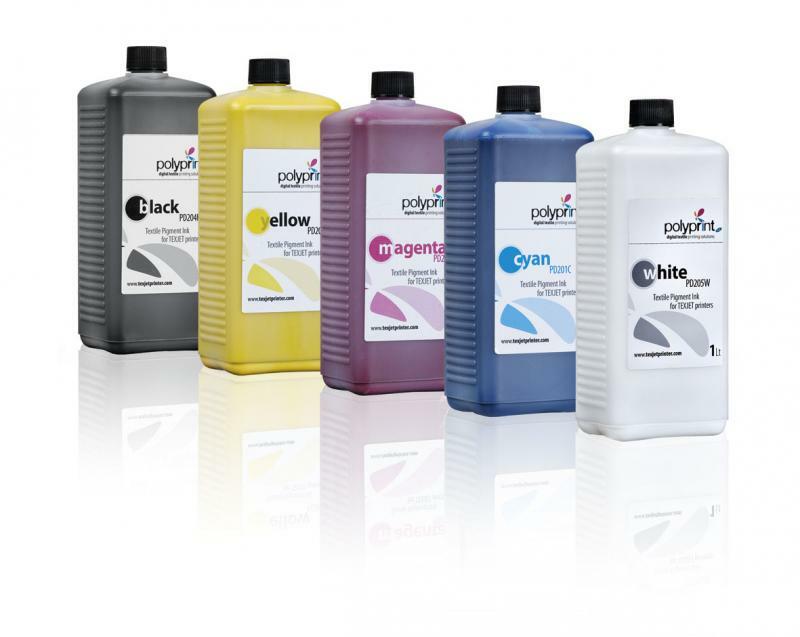 Polyprint TEXJET is the most reliable, high quality direct to garment printing system in the market. 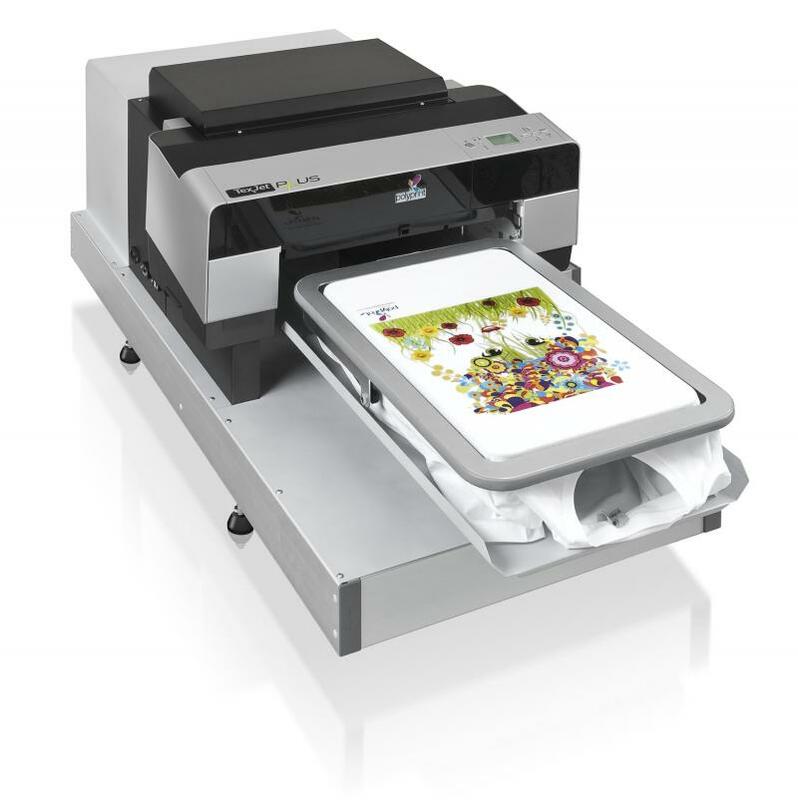 There are hundreds of printers installed worldwide in printing houses, t-shirt retail shops, garment manufacturers etc. 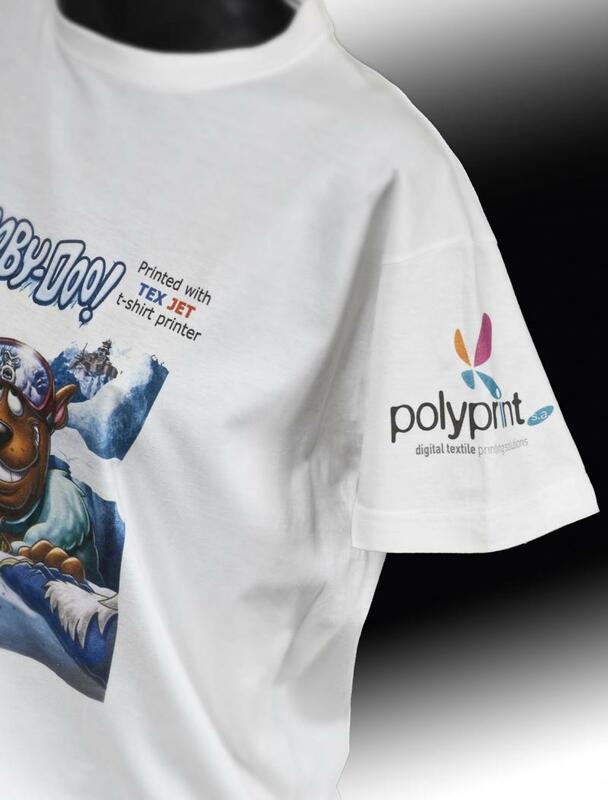 Polyprint TEXJET has been specially designed for direct printing on garments, white, colored and dark ones using textile inks that produce vivid prints with excellent washability. 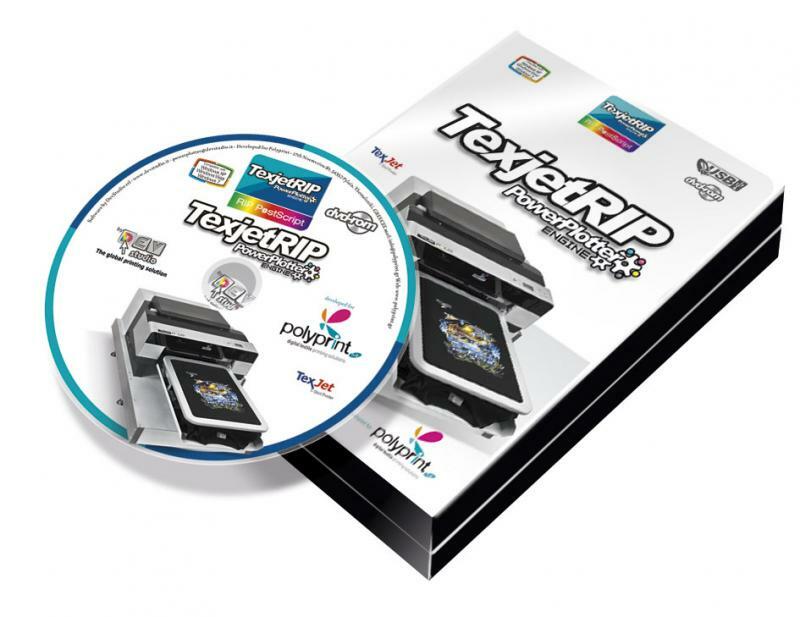 The last generation Polyprint TEXJET v.2010 includes the "frame" table which holds down the t-shirt without the need of using adhesive spray, and the new TexjetRIP software which offers automatic creation of the white mask, cost calculator and many more. 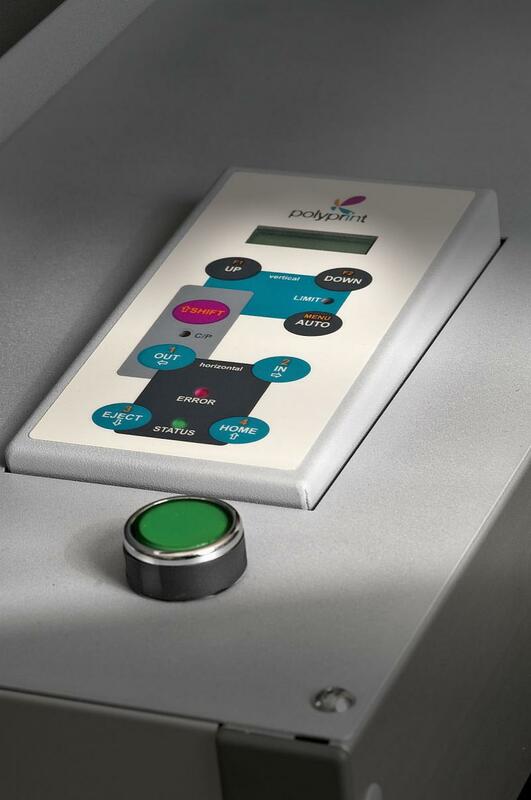 The Polyprint control board is the heart of the printer, operates the whole system interacting with the Epson main board without modifying it at all, avoiding all electronic related problems, and offering stability and error free operation. INK in bulk provides excellent results because it is stored and handled according to the manufacturer’s instructions using roller agitation system in order to keep it always fresh and homogeneous. Available in bottles of 250ml or 1Lt, and 20Lt containers. Available in 1Lt bottles and 20Lt containers. DuPont™ and Artistri™ are trademarks of E.I. du Pont de Nemours and Company. 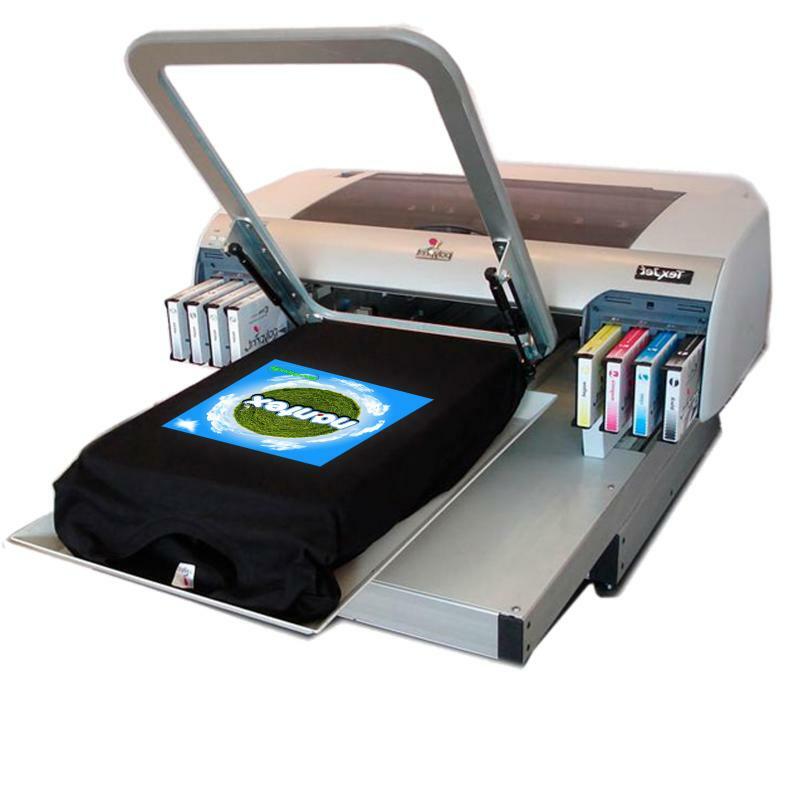 TEXJET prints 30-40 white and 12-15 dark t-shirts per hour in high quality mode. White Ink performs at its best, due to closed loop ink system which keeps the white ink fresh and clean from dust or evaporation, minimizing maintenance. Please follow the link for the latest news on our products.